Three Holy Hierarchs Chapel of St. Sophia Ukrainian Orthodox Theological Seminary of the Ukrainian Orthodox Church of the USA (South Bound Brook, NJ) was once again a place of the solemn and joyful liturgical celebration on Saturday, March 10, 2018, as Archbishop Daniel ordained seminarian Subdeacon Volodymyr Yavorskyi as a deacon of the Church. Assisting the Archbishop as the main celebrant and ordaining hierarch were Very Rev. Fr. Oleksandr Yatskiw, Rev. Fr. Vasyl Dovgan, Rev. Fr. Vasyl Pasakas, Rev. Fr. Miron Korostil, Rev. Fr. Ihor Melnyk, Rev. Fr. Philip Harendza, Rev. Fr. James Cairns, Protodeacon Ihor Rusyn, Deacon Adrian Mazur, Deacon Paul Czerkas, Deacon Ivan Tchopko, Deacon Richard Jendras, along with Very Rev. Fr. Volodymyr Muzychka, Rev. Fr. Michael Danczak, Rev. Fr. Vasyl Shak in attendance. The Seminary chapel was filled with solemn sacred music chant by the Seminary quartet. As the Archapastoral Divine Liturgy of the Second Memorial Saturday of the Great and Holy Lent started, Vladyka Daniel led the congregation in prayer, remembering the mothers and fathers of the Church throughout centuries that have reposed in the Lord. Taking into consideration the ordination od Subdeacon Volodymyr to Deaconate, Vladyka Daniel led a Memorial Service of the day in memory of Ester Ulbricht, the mother-in-law of the soon to be ordained deacon, calling to remembrance the spiritual and national heroes of the United States of America and Ukraine, among whom the great poet of Ukraine – Taras Shewchenko. Vladyka Daniel explained that it was the Almighty God, through the Grace of the Holy Spirit, consecrating Subdeacon Volodymyr to a life of service to the Church. 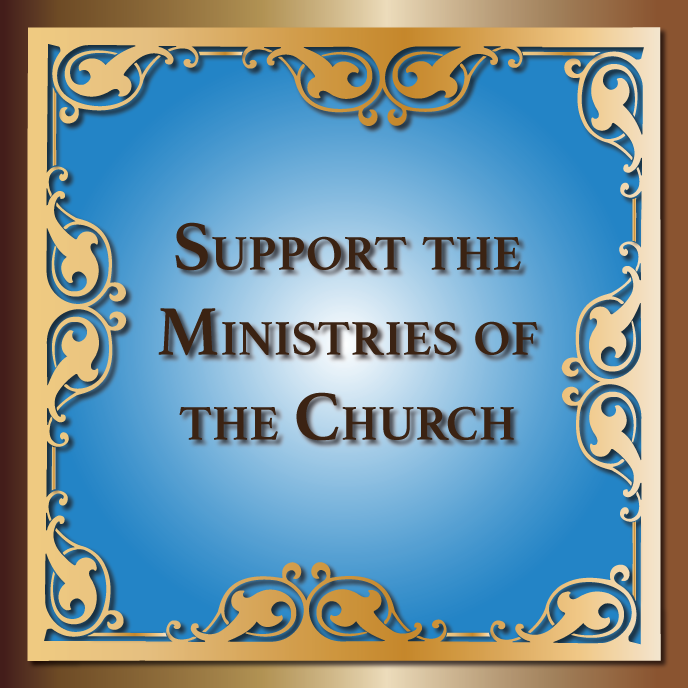 “…The ministry of servanthood to which you are ordained today is a ministry to all people, but as a deacon you are to give particular attention to the poor, the weak, the sick, and the lonely. Subdeacon Volodymyr, this means that you will have to train your ears to listen carefully and intently to the world around you. ….You are called to a life of holy listening that is rooted in the Great Commandment: love of God, love of neighbor, and love of self. You will become skilled at discerning where and how to minister the love of God by studying, reflecting on, and praying with the scriptures. And you will need to hear not only with your ears, but with your eyes and with your inner being. It is when you love as God loves you that you can seek and serve Christ in all persons and come to respect the dignity of every human bring. As you pattern your life after Christ, remember that he was more comfortable living with those on the margins, than in the halls of power and authority. The offering of yourself you make today, asks you to proclaim the resurrected Christ in word and deed, within the community of faith and in the world at large. Following the consecration of the Holy Gifts, in an ancient gesture, the archbishop laid his hands on the bowed head of subdeacon Volodymyr – prayerfully conferring the gift of the Holy Spirit. He offered a prayer of ordination, asking God to dedicate the subdeacon presented for Deaconate to the service of the Holy Church. At the end of the Divine Liturgy, subdeacons Yurii Bobko and Ihor Protsak, speaking on behalf of the Student Body of St. Sophia Seminary, greeted the newly ordained Deacon Volodymyr and his wife Ginny calling upon them to remember to serve the Lord in the prayerful fear of His love and presence in the lives of the Christian flock. Addressing the congregation, Deacon Volodymyr offered his words of gratitude to Archbishop Daniel for his daily care while the past five years of studies prepared seminarian Volodymyr to the subdeaconate and now to the Deaconate of the Holy Mystery of Priesthood. Moreover, the words of gratitude were addressed to Metropolitan Antony, faculty, seminarians, friends and finally to Ginny - the wife of the newly ordained Deacon Volodymyr. Ordination is the beginning of a ministry journey for the one called to the sacred Ministry, but also for their family members. 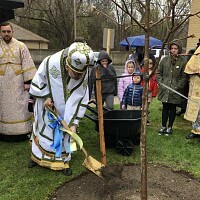 In attendance of the celebration was Deacon Volodymyr’s father-in-law Howard, who prayerfully joined the congregation in prayers for his son-in-law, truly representing the entire Yavorskyi family members that were not able to travel to the United States of America for the ordination service. In conclusion of the liturgical celebrations, the congregation in attendance was treated to a Lenten luncheon prepared in honor of Deacon Volodymyr and his family. 10 березня 2018 року, в день памяті святителя Тарасія патріарха Константинопольського у стінах Свято Софіївської Православної Богословської семінарії відбулася важлива подія, у сан диякона був рукоположений студент семінарії іподиякон Володимир Яворський. Торжественне богослужіння очолив Високепреосвященніший архієпископ Даниїл у співслужінні численного духовенства нашої церкви. Богослужіння своїм співом прикрашав семінарський хор Свято-Софіївської семінарії. Також цього дня, у другу Поминальну суботу Великого посту архієпископ Даниїл підніс особливі заупокійні молитви за всіх від віку спочилих отців і матерів наших. Особлива молитва була піднесена за спокій душі великого поета, провідника та пророка нашого українського народу — Тараса Григоровича Шевченка, приурочена до дня його пам’яті. Слідом за Апостольським та Євангельським читанням архієпископ Даниїл виголосив проповідь, в якій зазначив, що праця в Божому винограднику не закінчилась зі смертю останього з апостолів, але продовжується через силу Духа Святого, який діятиме і через нововисвяченого диякона Володимира . Архіпастир наголосив, що Сам Господь, через Благодать Святого Духа, освячуватиме і направлятиме іподиякона Володимира на дияконське служіння Його Святій Церкві. І ось настав особливий момент, момент хіротонії, під час якого владика Даниїл покладанням своїх святительних рук закликав благодать Святого Духа на іподиякона Володимира. Усі присутні з особливим трепетом та благоговінням спостерігали за діями у вівтарі семінарійного Трьохсвятительського храму, молитовно радіючи за нововисвяченого диякона Володимира. Храм наповнився співом “АКСІОС” вітаючи новопоставленого диякона. На завершення урочистого богослужіння владика Даниїл звернувся до нововисвяченного диякона наголосивши на особливостях дияконського служіння, яке зумовлює приділяти особливу увагу бідним, слабким, хворим і самотнім. У свою чергу диякон Володимир звернувся з словами подяки до всіх присутніх, які кожен по особливому стали приченим до його становлення на шлях служіння Богу та Церкві. Особливі слова подяки диякон Володимир склав на руки наших архіпастирів Митрополита Антонія та архієпископа Даниїла, які протягом всього його навчання сіяли слова Христового вчення в його серце. Також пролунали слова подяки всьому викладацькому складу Свято - Софіївської семінарії, також своїй дружині, усім рідним та всім студентам з якими він проводив роки свого навчання. Після подячного слова диякона Володимира від імені студентів Свято-Софіївського семінарії нововисвяченого диякона привітав іподиякон Юрій Бобко, який побажав диякону Володимиру і надалі перебувати у цьому божественному благоволінні та страху Божому, несучи їх протягом всього свого служіння. Після вітального слова, іподиякона Юрія до диякона Володимира звернулося із вітальними словами усе духовенство та всі запрошені гості. Урочисте богослужіння закінчилось уставним многоліттям на спільною фотографією.